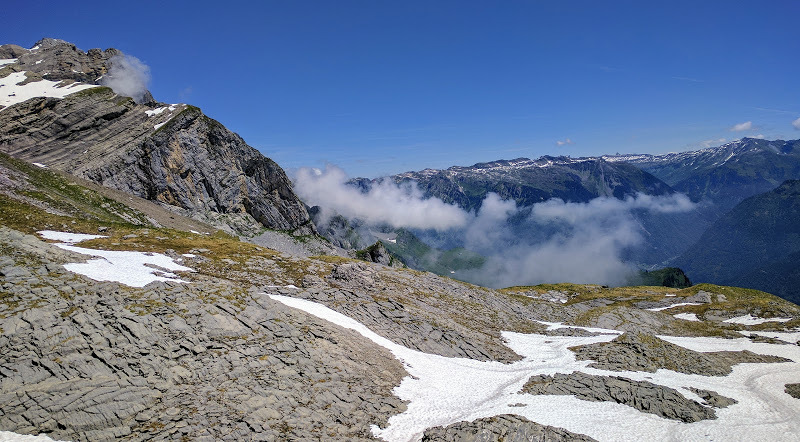 This is the one I’ve been practicing for; walking over the top of the southern Glärnisch range from Brunnenberg to Klöntal through the Zeinenfurggel pass. It’s a proper alpine route, at T4. 1500m vertically, 16.5km horizontally. It was… a bit out of my comfort zone. 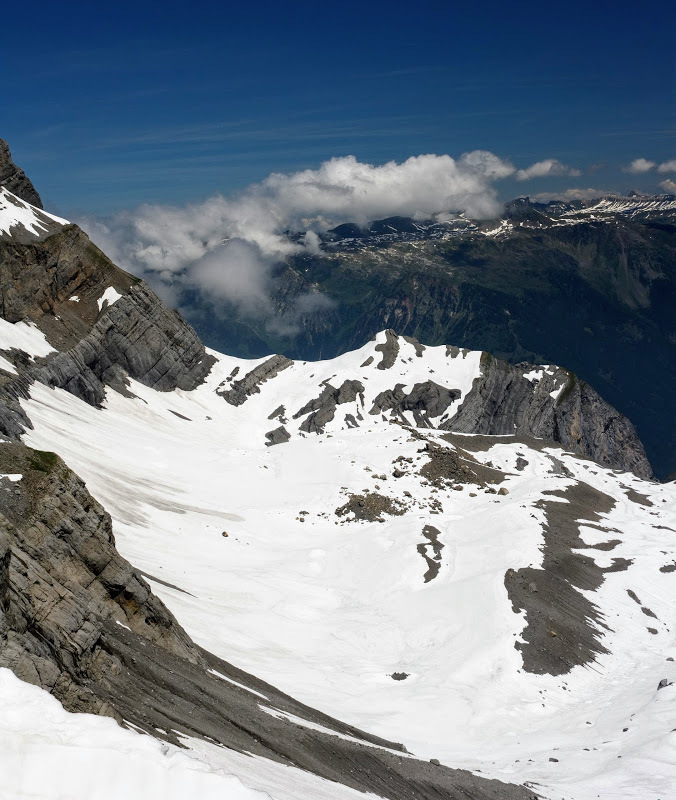 There was a lot more snow up high than I was expecting, and I came very close to turning back due to avalanche risk, but I did find a route up that avoided the snowfields. The pass was rather steeper than I was expecting and near the top was basically just a pile of wet, slippery gravel which I had to scramble up. No pictures of that side because I was kinda too busy not falling off things. Then the other side was even more slippery gravel and I ended up slowly and carefully skidding down about 500m. Should probably have waited another month until more of the snow had gone and it was dryer. 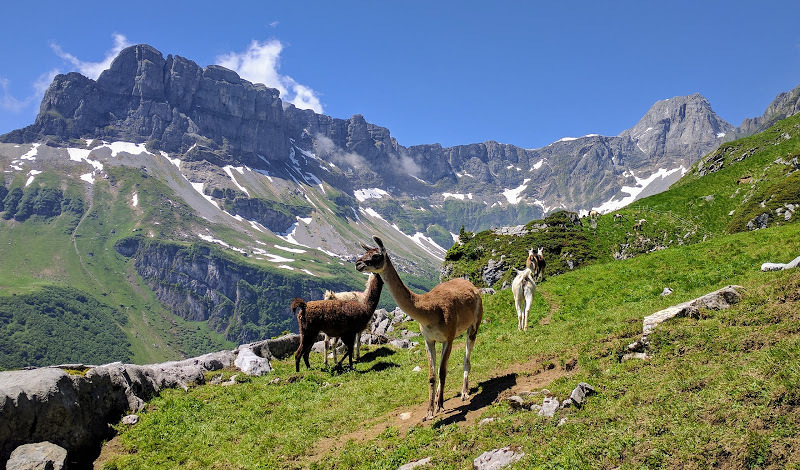 Still, some superb views, most of which I forgot to photograph, including a sudden encounter with SWISS ALPINE LLAMAS. SWISS ALPINE LLAMAS on the high pastures on the Bösbächi side. Further up, the grass suddenly stops and it's all bare rock and gravel. 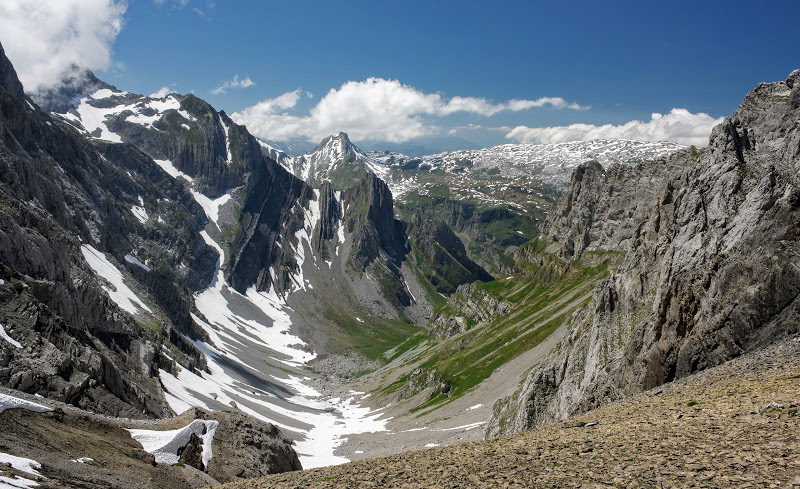 At the summit, looking back at Vorderchammstock and the Glarus valley a kilometre below. Looking the other way down into Zeinen. Less snow, more gravel. 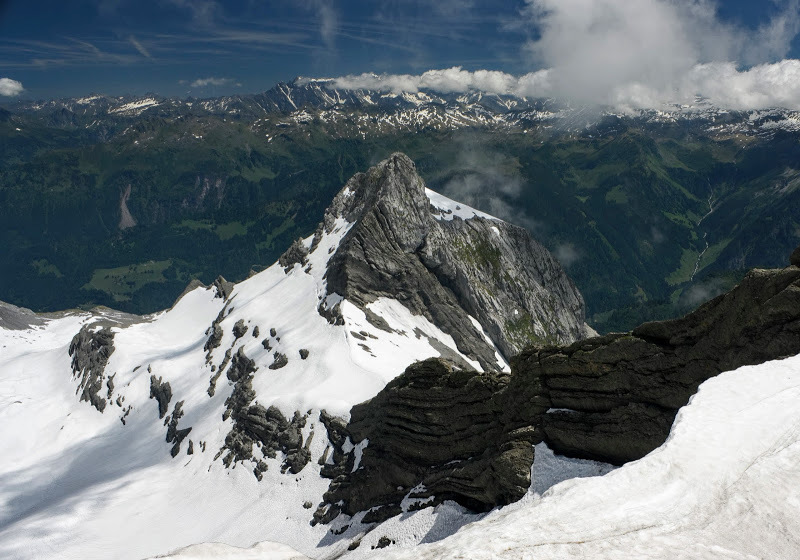 Looking down at the snowfields of Bachifirn. There's glacier under some of that white. Anything not covered in snow is gravelfield --- horrible stuff to walk on. 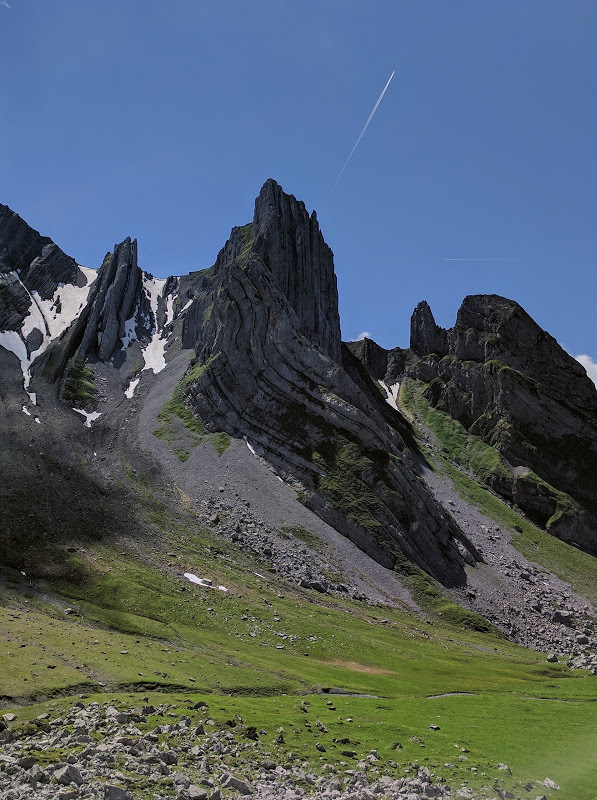 I've said it before, but: some of the Swiss mountains are frankly unrealistic. This is Mittler Gassenstock.